I find now that yesterday’s post took a lot for granted. One can’t just float a concept like the auteur theory and expect to be understood. 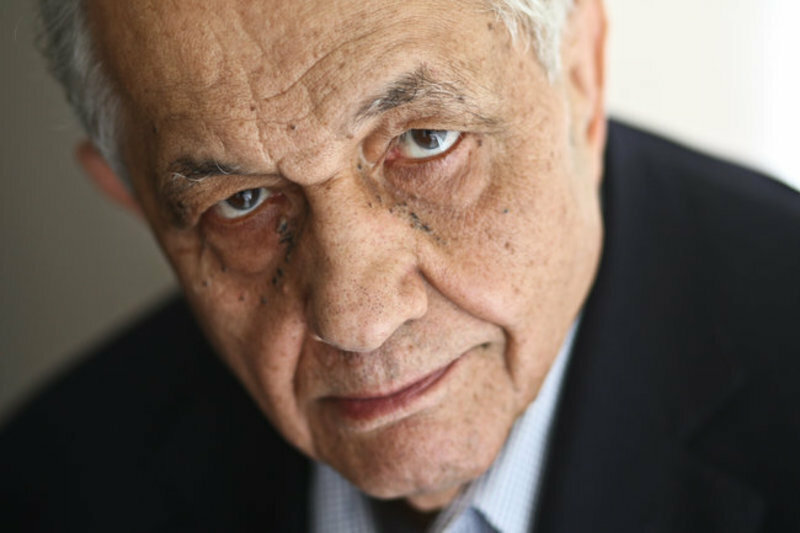 When I first got into films at Dartmouth College, I was influenced by a French monthly called Cahiers du Cinema, and by the work of an American film critic writing for the Village Voice named Andrew Sarris, who tried to translate the French critics’ ideas into the American idiom. For Film Culture magazine (Winter 1962/1963), he wrote a long article entitled “Notes on the Auteur Theory in 1962.” I photocopied his article and kept it with me for years, until he turned it into a book in 1968 entitled The American Cinema: Directors and Directions 1929-1968. Why did I not go to the movies this year? Simply put, I remain an auteurist; and there were few films this year made by the directors whose work I follow. I am not interested in the films of William Seiter, Norman Panama, Archie Mayo, George Archainbaud, Alan Crosland, Alfred L. Werker, and any number of studio hacks who never signed their names to a great film. They were for the most part competent film makers whose work was light and entertaining; but I was after bigger game. Now thye French considered Jerry Lewis to be an auteur, a true film artist. His films after he parted with Dean Martin are usually directed by him in a consistent and very competent way. You may not think that Jerry Lewis is a film artist, but he fits the idea the French have of the immature American male—like it or not. A few of the names are predominantly European directors who also made several films in America (like Murnau, Ophüls, and Renoir). Hollywood is full of stories of battles between the director and the producers. One of the most tragic occurred between Sam Peckinpah and the money men behind Major Dundee. It was only Peckinpah’s third outing as a director of feature films, and he was given a budget of $4.5 million to shoot the film in Mexico. The original director’s cut came in at 4 hours and 38 minutes, and several million dollars over budget. Producer Jerry Bresler promptly denied the director any decision in the post-production process. He had the film edited down to 123 minutes, which was the version I originally saw at a downtown L.A. theater around 1970. Today, I watched a 136 minute version, which calls itself “The Extended Version,” though is still a bit rough around the edges. It is a pity that men of no artistic ability like Bresler have such an ability to mar a major work of art. Even with all its jagged edges, Major Dundee is a captivating film. Set in the final years of the Civil War, it tells of a Union officer (Charlton Heston) stationed to New Mexico Territory putting together a unit to revenge a massacre of men, women, and children by Apaches led by one Sierra Chariba. 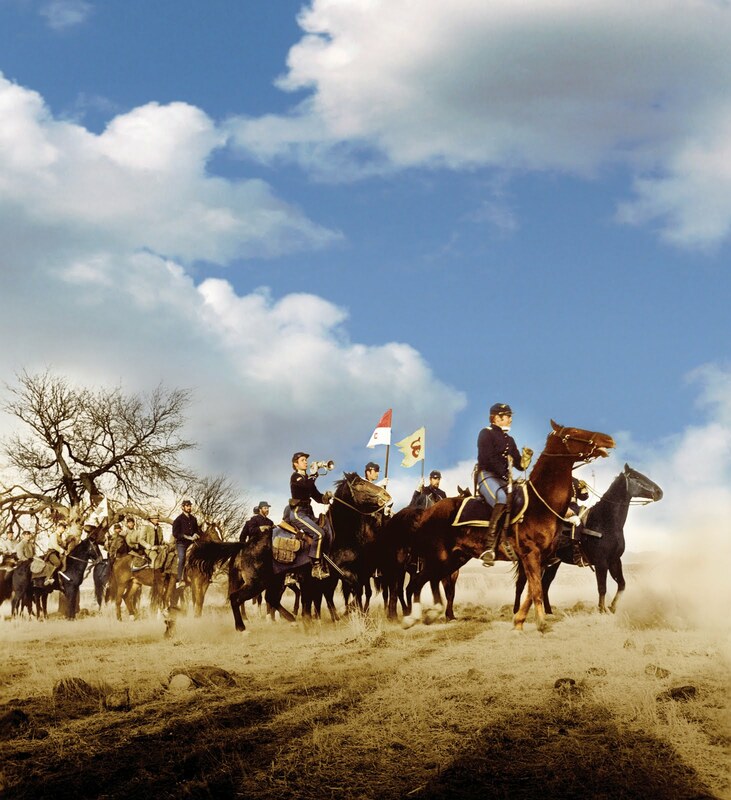 With few regulars on hand at Fort Benlin, he recruits a squad of black Buffalo Soldiers, a few cowboys and outlaws and the usual reprobates, and a group of Confederate prisoners led by Captain Benjamin Tyreen (Richard Harris). When the Apaches cross the Rio Grande into Mexico, Dundee and his men follow them and come into conflict with French troops which then controlled Mexico under the Emperor Maximilian. Peckinpah always had a special feeling for Mexico. During the shooting of Major Dundee, he fell in love with one of his actresses, Begoña Palacios, and married her. Shown below is a Mexican fan magazine of the period with her picture on the cover. I will never forget when I saw the rough cut of Peckinpah’s The Wild Bunch (1969) at Warner Brothers Studios. There was a scene of Bill Holden and his men leaving a Mexican village that seemed to go forever. There is a similar scene in Major Dundee, where Charlton Heston captures a small French garrison and finds that the villages does not have enough food to survive. He immediately orders that two of his mules be butchered. There is a long fiesta scene. When Heston and his men leave, the whole village comes out to see him off. I rather like the special feeling that the director had for Mexico. It gives his films set there a certain glow. 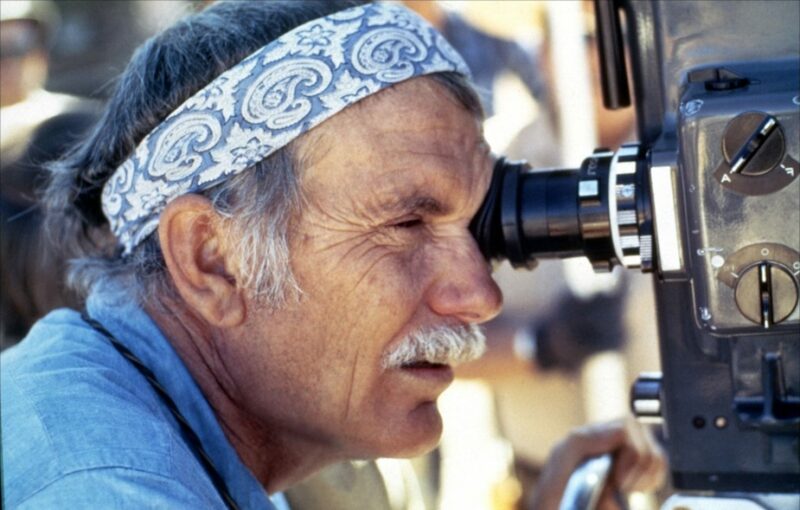 It is a pity that Peckinpah died at the age of 59 in 1984. He had indulged in booze and drugs, and they greatly weakened him at a time when he still had a lot to give as one of the greatest artists in the genre of the American Western. Although I never met the man, he has made a lasting impression on my taste in films. It all started around 1964, when I was a student at Dartmouth College in Hanover, New Hampshire. 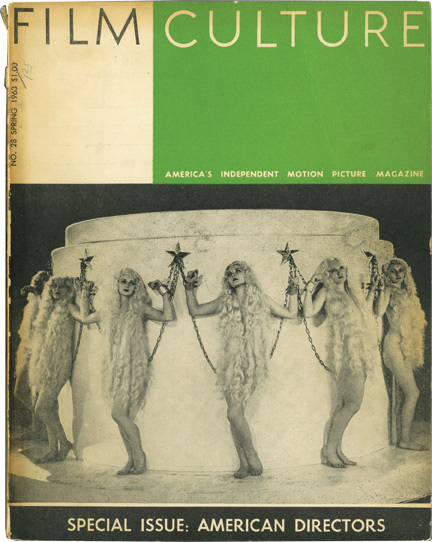 I ran across the Spring 1963 issue of Film Culture magazine. Most of the contents was a 68 page article by Andrew Sarris, then movie reviewer for The Village Voice. I remember photocopying the entire article while several other students fumed at the time I took to set up every page perfectly. In the end, I had the best survey of the work of American filmmakers then available. 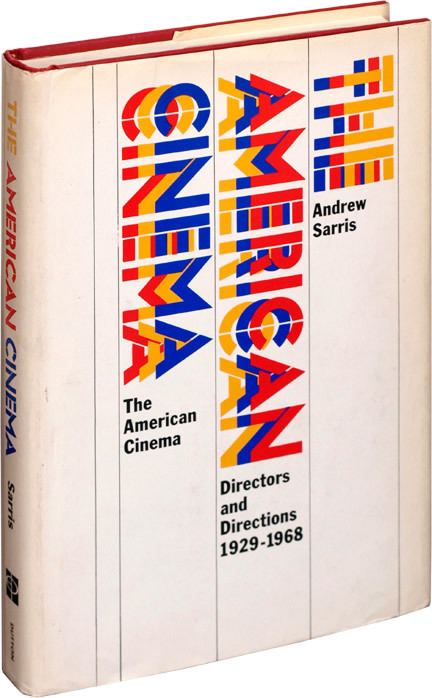 By the time I came out to Southern California, Sarris was working the same material into a book to be called The American Cinema: Directors and Directions, 1929-1968. The book became my bible, a guide to the real artists of the American cinema, the directors. 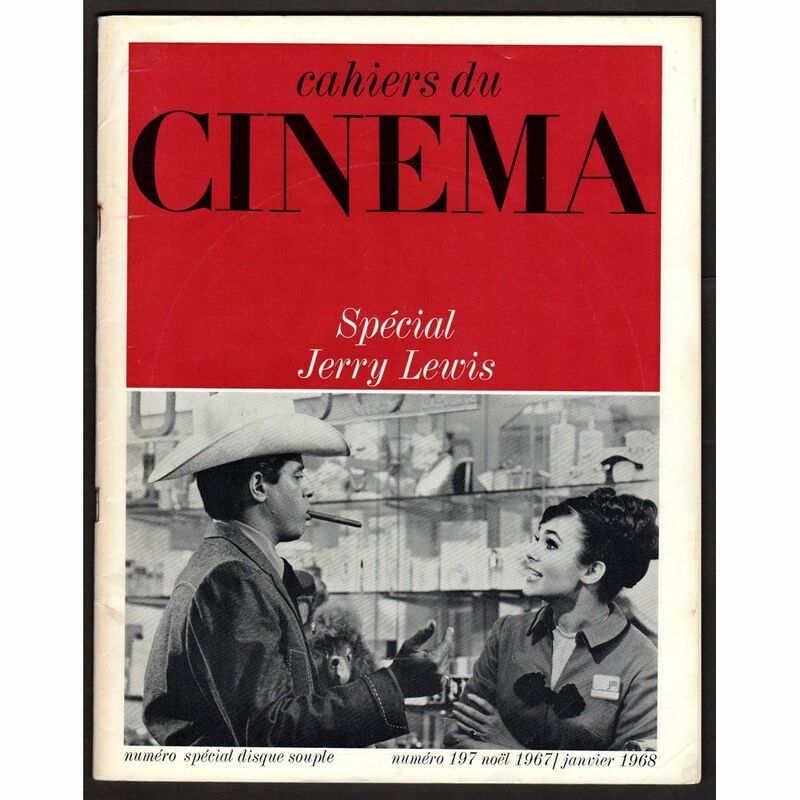 In both the book and the Film Culture article, Sarris was adapting the work of critics at Cahiers du Cinéma and other French film magazines who were reacting to the French classical cinema and rediscovering American film. I and my fellow auteurists at the UCLA Film Department ran into heavy opposition from the faculty, especially from my thesis adviser, one Howard Suber, whose idea of film criticism was to do a shot-by-shot analysis of Orson Welles’s Citizen Kane. I quickly discovered that the people who were most opposed to the auteur theory were not terribly interested in seeing films. In fact, they did not know very much about film. Where my friends and I were viewing upwards of fifteen films a week, I doubt that most of the UCLA professors saw that many in a year. 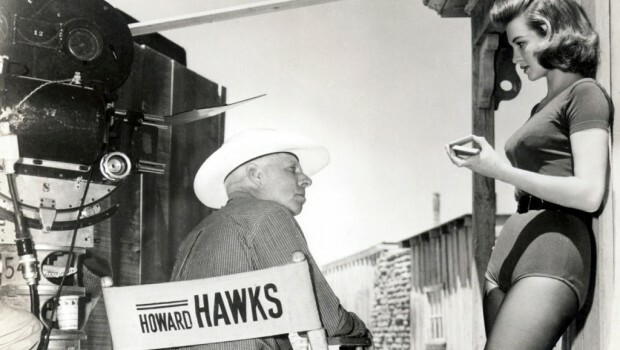 Although over the years, my take on films has changed somewhat, I still love the great auteurs such as John Ford, Howard Hawks, Charley Chaplin, Josef Von Sternberg, Nicholas Ray, Orson Welles, Raoul Walsh, and Budd Boetticher. Now I am willing to admit that, in certain rare cases, the producer could be the main artist of the film. The only example I can think of offhand is Val Lewton, who as producer, created his own style that overrode such excellent directors as Jacques Tourneur, Mark Robson, and Robert Wise. Yesterday, I attended the Cinecon 53 Classic Film Festival in Hollywood. The very best films were auteur classics: John Ford’s The Brat (1931), George Stevens’s Boys Will Be Boys (1932), and William S. Hart’s Shark Monroe (1918). But where I diverge from the auteurists is my enjoyment of some films by relative nobodies,. most particularly John Blystone’s Woman Chases Man (1937)—which ended up involving three directors and five writers—and Alfred S. Rogell’s No More Women (1934), itself a sequel to auteur director Raoul Walsh’s What Price Glory? (1926), starring the same leading actors. There are indeed many terrible filmmakers whose work I would think nothing of walking out on. But at shows like Cinecon, there are some wonderful films by people I have never heard of.